The Homemade Caesar Salad that I posted last week is an oil-based dressing. It’s a great salad to have if you’re “brown baggin’ it” or off to a picnic since it doesn’t require refrigeration. And while my girls LOVE that one, they love the creamy version (which is most typical in restaurants) as well. 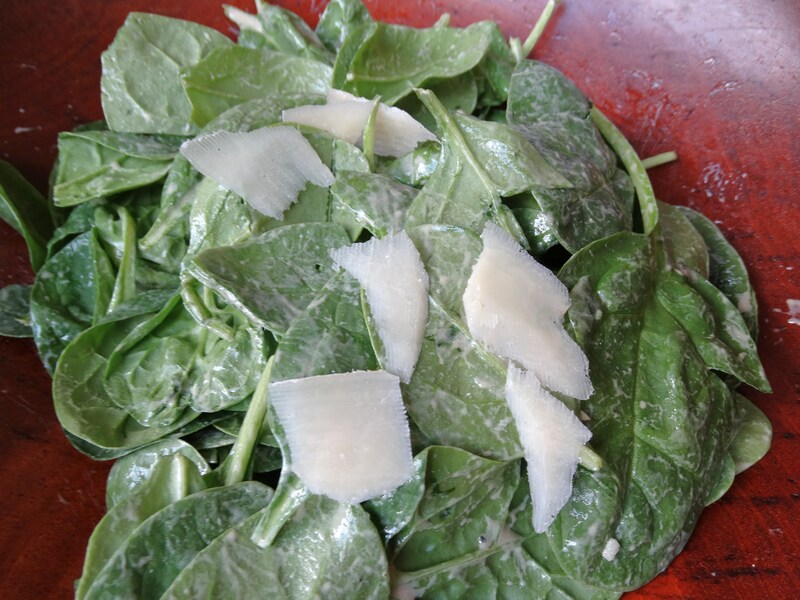 I like to use this creamy dressing on spinach leaves and it makes for a great veggie dip too. Place all dressing ingredients (oil-pepper) into in a mason jar. Whisk using a fork. In a large bowl, pour half of dressing into the bottom. Add in romaine and toss to combine. Drizzle additional dressing over top of salad and toss again. Top with shaved Parmesan cheese and croutons if desired. Store any remaining dressing in the refrigerator. Makes 6-8 servings.